Pathways to Allied Health Professions (PATH) received a $3,000,000 Round Two TAACCCT award as a capacity-building initiative to address local healthcare worker shortages prioritized by the largest healthcare employers in Jackson and Josephine counties. The project brought not only new allied health profession education and training, but also curricular and program innovations, strong industry engagement, and intensive use of data to better serve the region. The PATH courses and programs were developed to meet a need in the local healthcare community, and industry partners were highly engaged in this process. 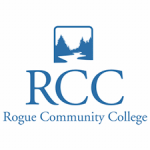 Through these courses the PATH program touched 2,675 students and with the exception of the NA101, CNA2, and CLA offerings, all courses and programs are being sustained at RCC. Noteworthy student feedback about the new or modified programs or courses included comments about the valuable clinical experience they were gaining, reports of gaining employment through these clinical experiences, and having access to programs that otherwise would not have been available, particularly with regard to the OTA and PTA distance learning programs.